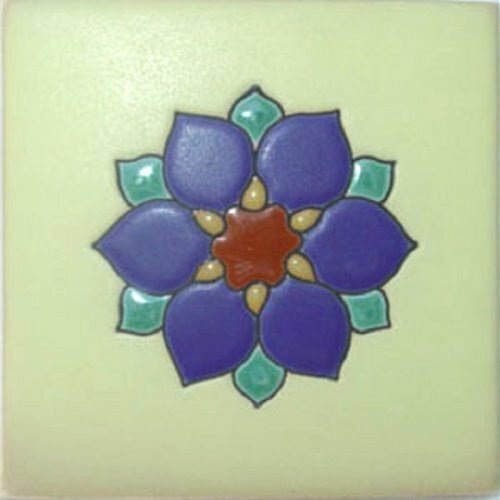 Relief tile with "Center Flower" design for decorating old European style kitchen backsplash, bath wall and stairs. Painted with purple blue, green and brown color over white. Production of clay relief tiles including free delivery from Mexico to the US estimated for four weeks. Simple but effective design, are perfectly made, and it shows immediately the quality of materials, have a superb finishing, in my case, they came in three weeks and each tile came perfectly protected. Relief Tile "Pastel Green Star"